This effectively brings an end to his international career. 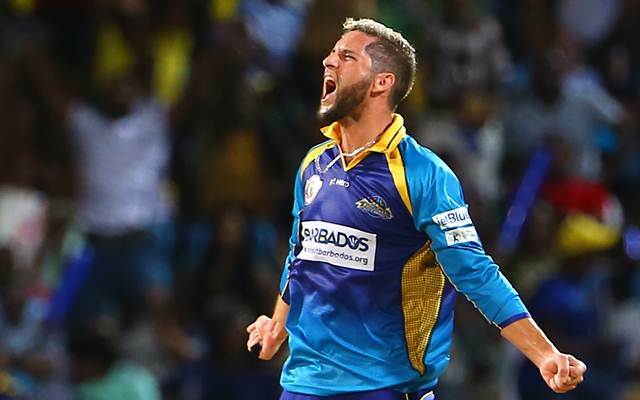 South African all-rounder Wayne Parnell has signed a Kolpak deal with English county team Worcestershire. This decision effectively brings an end to his international career. Parnell was involved in Worcestershire’s victorious Vitality Blast campaign, which saw his team defeat the Sussex Sharks in the final at Edgbaston. The Protea has now decided to join the English county side permanently. Parnell is known for his left-arm pace bowling, as well as his ability to use the long handle to good effect. He made his international debut in 2009 and played six Tests, 65 ODIs and 40 T20Is. However, his Test appearances have been far and wide. He represented South Africa in those six Tests over a span of seven years. Parnell hasn’t donned a Protea jersey since October 2017. Speaking to ESPNCricinfo, Parnell said, “This is probably the toughest decision I’ve had to make in my career. Of course, this wasn’t an overnight decision, it’s a very difficult decision and I am fully aware and understand the pros and cons of it. I have always enjoyed playing for my country since making my debut. I’d like to thank everybody who has supported me through thick and thin, my family, my friends. Parnell took the fact of South African cricket team moving on without him sportingly and felt that it was a right time to make a decision. He also pointed out that the selectors not picking him for A tours was also an indication for him to sign the Kolpak deal. “I am still young and I have plenty to offer to any environment that I’m in. I have played more than 100 games for my country in all formats and I’ve loved every time I’ve put on the South African jersey and I’m almost certain that nothing can replace that feeling, certainly on the cricket field,” Wayne Parnell said. “The reality of life is that that goals and aspirations change all the time and it seems the Proteas have moved passed me since I’ve not really had any communications since I had my injury and then not going to India for the A tours was also another indication. “But I’m happy with that and I am comfortable with where I’m at and what I’m doing. I’ve thoroughly enjoyed my time at Worcestershire since joining up with them and I’m excited about my future with them,” he said.